Being born and raised in Edmonton, Sarah Barber is a deep-rooted and self-described proud YEGer. 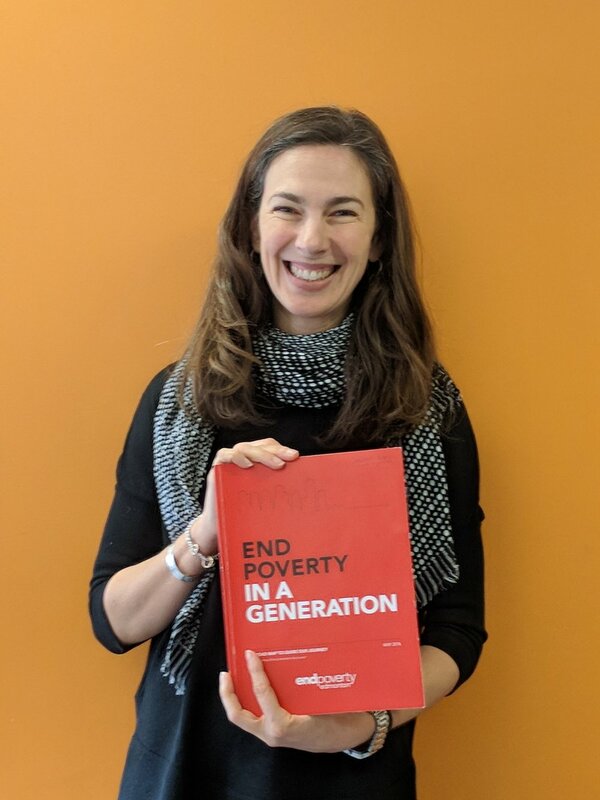 This, combined with her rebel-rousing approach to ‘asking why’ and passion for social justice made her a good fit for EndPovertyEdmonton’s Research and Evaluation Specialist. Luckily we can also say that Sarah’s professional and academic experience support EPE’s Research and Evaluation file mandate. After receiving her M.Sc. in Health Promotion from the University of Alberta’s School of Public Health, Sarah worked as an evaluation consultant with the Public Health Agency of Canada and later, as an independent evaluation consultant, where she developed a working knowledge of many city programs, common outcomes frameworks, local evaluation capacities and evaluation resources. With over 16 years of experience in evaluation framework design, tool development, qualitative and quantitative data collection and analyses and evaluation capacity building within government and in the community - with a focus on HIV, Hepatitis C and harm reduction - Sarah approaches evaluation with a ‘nothing about us without us’ lens. Before coming to EPE, Sarah was a co-instructor for the graduate level Health Promotion Planning and Evaluation 504 course offered through the School of Public Health at the University of Alberta, which allowed her to hone her skills in generating enthusiasm for evaluation - or in her words – ‘not putting people off of evaluation entirely’.